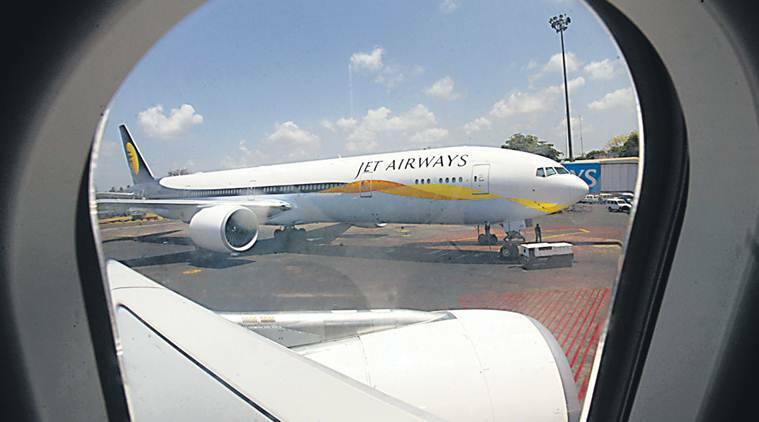 Debt-ridden Jet Airways Tuesday sought emergency funds from banks as the management met to decide the fate of the airline, Civil Aviation Secretary Pradeep Singh Kharola told PTI. “The flyer is currently operating just five aircrafts,” Kharola informed. Meanwhile, amid concerns over rising ticket prices in the backdrop of crisis-hit Jet Airways drastically curtailing operations, aviation regulator DGCA has asked airlines to reduce fares to ‘reasonable levels’ on at least 10 high-density routes. The civil aviation ministry would convene meetings of representatives of airlines and airports on April 18 to discuss capacity expansion, rising airfares and other issues. Earlier in the day, the Jet Airways management proposed to shut down all operations. The decision is based on the delay in infusing capital by banks into the company. The airline has demanded Rs 1,500 crore infusion by lenders who own a controlling stake. The BSE has sought clarification from Jet Airways (India) Ltd with reference to news that it is likely to temporarily shut down its operations. On Monday, Jet Airways CEO Vinay Dube said the lenders could not decide on the emergency funding and that the airline’s board would meet on Tuesday to take a call on the future.